To everyone else, today is Labor Day! But to us, it is our seven year anniversary! 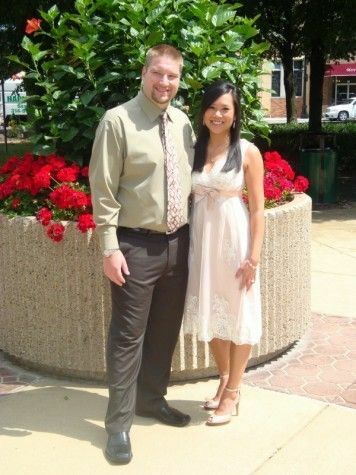 Our legal ceremony was done at the courthouse on August 31st. Since I've never documented our wedding on the blog, I decided to use our beach ceremony anniversary as my time to do just that! 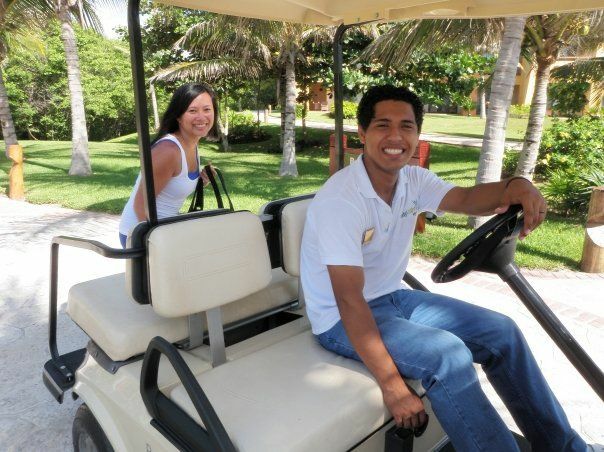 Everything took place at the Barcelo Maya Resort in Riviera Maya, Mexico. In case you've found yourself to this blog post because you are thinking of getting married at this same resort, I am being extra detailed in my descriptions! If you prefer to skip all these details, you can see our wedding photos in the form of a video HERE. 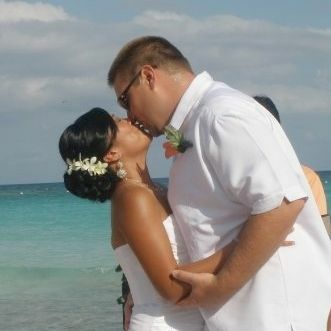 -We confirmed our date and time with Claudia, our resort wedding coordinator, in late October 2008 for our ceremony on September 5, 2009 at 4pm. Generally, it took her 1-2 days to get back to us. The closer it was to the wedding, the faster she was to respond. 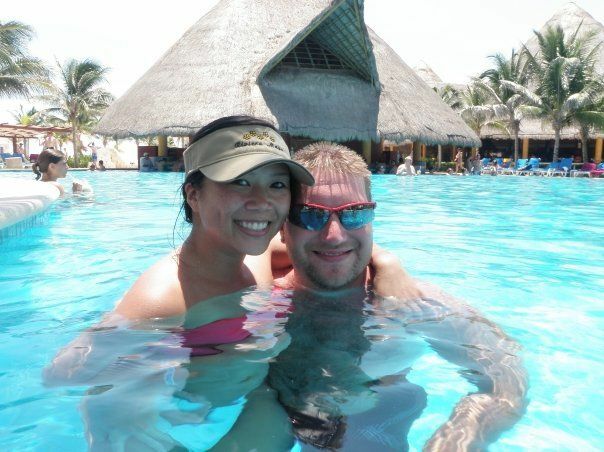 -The great thing about our resort is that there were 5 smaller resorts on the property at different price points. Our guests were to book at "The Beach" for no more than 7 nights. Me and the husband were booking at "The Palace" for 14 nights. -We worked with a travel agent to coordinate booking for all of our guests. In the end, we had 38 people who ended up booking. Getting everything booked was the "hardest" part of the process. That's the nice thing about a destination wedding. 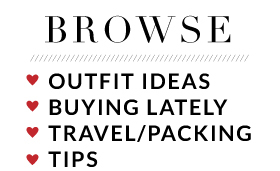 All the planning is so methodical so there really is no reason to stress beforehand. Just wait and get excited! 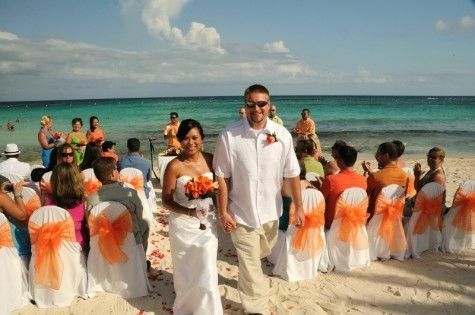 -The reason we did our legal ceremony ahead of time is because it would have taken longer for everything to process had we chosen to have a legal ceremony in Mexico. Two months is what I believe we were told. Since we were technically already married by the time we got there, we had a non-legal ceremony and we arrived Wednesday, September 2nd, with the wedding on Saturday, September 5th. 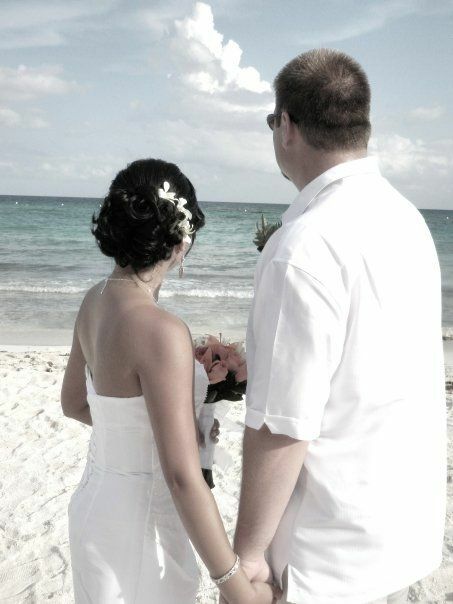 The resort had several packages to choose from, and we chose the "Sea Breeze" wedding package. -One month before the wedding, I emailed Claudia our guest list. She wrote back immediately letting me know that the Beach and Caribe were closed for off season and that my guests would be upgraded to the "Colonial" resort. -Two weeks before the wedding, Claudia emailed us a list of questions, which I think was just to mainly prepare us for the things we were going to go over with her in person (i.e. ceremony/reception location, colors, what spa appointments we needed, music, etc.) She also asked if we could meet in person at the Palace lobby on Thursday, September 3rd at 10am. -Claudia met us in the lobby as promised. First, she showed us our ceremony options for the Palace: the gazebo, Coral Beach, and the Palmeras Beach. (We walked to the gazebo and to Coral Beach, and then she took us to Palmeras Beach on a golf cart.) All of the options were beautiful. For each location, she let us know how the chairs were going to be set up and the path I would take to walk down the aisle. She also said she would show us pictures of how everything was set up when we got back to her office. We ended up choosing the Palmeras Beach. We just loved that we would be only a few feet from the water. -We chose to have our reception in a banquet room at The Colonial since our guests were staying there and would be able to drink at the bars there for no upcharge vs. at The Palace where we were staying, which was subsequently an upgraded price tier. Claudia drove us to the banquet room, which was called The Chichen Itza 3. It was huge, but Claudia ensured us that the tables, bar and decorations would fill the room and not feel so big. a) She gave us a book of flowers to look at. She said we could mix and match anything we saw. 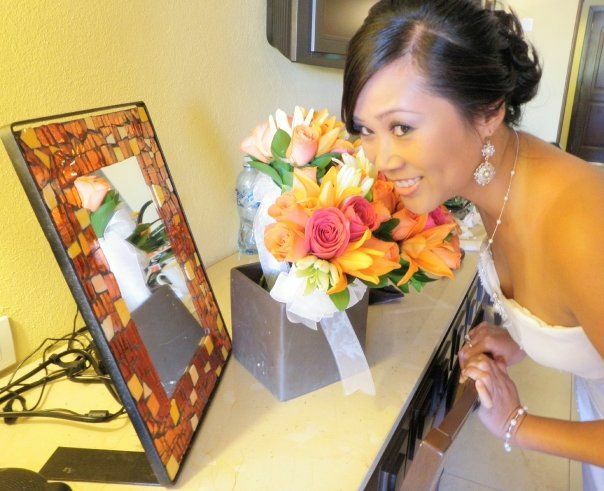 We ended up choosing a round bouquet of bright pink and orange roses and lilies. The 3 bridesmaids would have a smaller version of my bouquet. We didn't get boutineers for the groomsmen, but we got one orange rose for the groom and one white rose for both sets of parents. 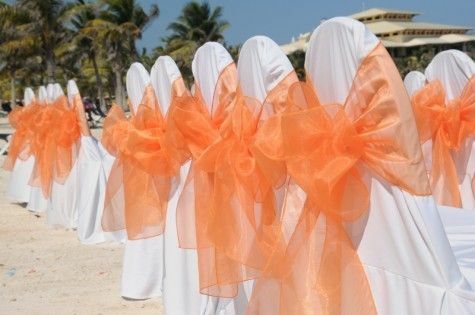 We also chose to have flowers for the girls' hair and two bags of orange and pink rose petals to line the aisle on the beach. The centerpiece on the table at the ceremony would match the bouquet and would be brought to the reception after the ceremony. b) She had samples of all of their standard colors of ribbon for the chairs. She let us know that there were other colors she could get, but they would be $3USD per chair because they had to rent them from a third party. We ended up going with orange, which was a standard color at no extra charge. c) We ended up going with the standard centerpiece for the guest tables which was a fruit centerpiece with candles. d) Music - For before the ceremony, we originally requested a violin, but Claudia said she did not recommend this because it's so windy this time of year that you wouldn't be able to hear it. She suggested we go with the keyboard and guitar. The musicians had stopped playing by the time I got there, so I didn't get to hear it, but the husband said it was very nice. We had the girls walk down the aisle by themselves, and they walked down to a "slow romantic song." That's seriously how Claudia described it, and we just agreed to it even though we hadn't heard it before. It ended up being very appropriate and beautiful - it was an instrumental version of Alicia Keys' song "If I Ain't Got You." For the reception, the husband just created a playlist on his iPod of songs to be played during dinner and then afterwards for dancing. e) My dad is a pastor and was officiating the wedding, so Claudia deducted $300USD from the wedding package. She asked if my dad needed anything for the ceremony - we ended up requesting wine and crackers for me and the husband to take communion during the ceremony, and Claudia let us know that he would have a hand held mic to use, but that she could get a mic stand if he needed it, too. f) We finalized the spa appointments for myself and the girls. She told us we could make our appointments for our massage (which is included in the Sea Breeze package) for anytime during our 2 week stay. g) We let her know what time we wanted breakfast delivered to our room the day after the wedding. Us and our 36 guests! j) She gave a list of menu options (salad, soup, main course and dessert), which we were allowed to mix and match. k) We arranged to have tables grouped together for the entire group at the Colonial buffet for the night before the wedding. -Claudia tallied everything up and gave us the grand total for everything including all extras. She drove back with us to the Palace reception desk so we could pay - we paid the reception desk directly. The majority of the package we paid for with travelers checks, and the remaining balance in cash. -We had a group dinner with all of our guests at 6:30 at The Colonial buffet. All of the servers were very attentive and helpful. -We decided to walk everyone to the reception banquet room so they all knew where it was. While we had their attention, we told them where the ceremony was going to be and what time they needed to be there. Then we met really quick with the wedding party and the parents to give them a heads up on the rest of the details pertaining to them. -The husband roomed with my sister's hubby and my sister, who was my matron of honor, roomed with me. -Since my sister had a Colonial wristband, we went to the front desk to buy her a voucher so she could eat at the Palace buffet for breakfast. It cost $5USD. We were at the breakfast buffet at 8am. Headed to my salon appointment! -At 9am, I called the spa and told them to pick me and my sister up at 9:45 for our appointments. They originally told me they would pick me up and drop me off at the Palace lobby, which was different than what Claudia told me - Claudia said they could pick us up directly in front of our building. I was a little upset because the lobby is quite a walk from my room and I was concerned my hair would immediately fall apart, but the man at the spa said he could not pick us up in front of our building because there are so many entrances to each building, the driver would not have any idea which one we'd be standing at. Our room was in the Oaxaca building, so we compromised and he said they could pick us up at the jaguar statue located out front. The 4 person golf cart promptly arrived at the statue at 9:45. -I had a pedicure appointment for 10am with my hair immediately following at 11am. My bridesmaids had their appointments at 10am, 11am and noon. The pedicure almost completely took the whole hour. The same person, Isabelle, did my hair and two of my bridesmaids. (The third bridesmaid had a pedi only.) Claudia stopped in to deliver the orchids for our hair, and also brought my bouquet in so I could see what it looked like. She said I could call her later when I was ready for her to deliver the flowers to my room. Alternatively, I could have taken them back with me after my spa appointments. -I ended up paying for all of our services with a credit card with a tip in cash, but had I had enough cash, I would have prefered to pay all of it in cash. -I was done with my pedi and hair by 11:45, as were two of my bridesmaids, so we headed back to my room at the Palace to get ready. The third bridesmaid had rescheduled her appointment from 10am to noon (which was a little irritating to me), so we ended up leaving her behind and she met up with us later so as not to get behind schedule. The three of us were back at my room by 12:15. The spa drove us back on their golf cart, and since we were with them, we told them exactly where to drop us off - right in front of my building. -I wanted to minimize the amount of time we were outside because of our hair, so I went ahead and ordered room service. We just ordered a few things and split everything - just enough to tide us over until the reception. We ordered room service around 12:30 and it arrived a little after 1pm. By the time the food arrived, my third bridesmaid had made it to my room. 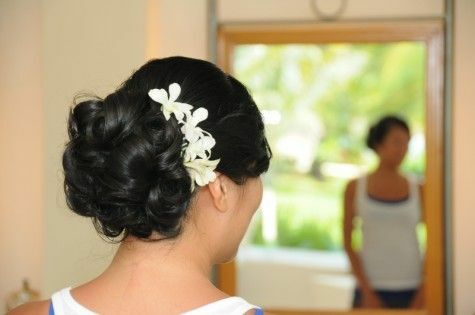 She had both her hair and make up done at the spa in about an hour, but her hair is shoulder length, and she just had a quick updo, with no curls. -After our quick lunch, we got ready. Claudia came with the bouquets at 2pm. The girls were dressed and made up by 2:30, and I had my makeup done, but wanted to wait to put my dress on until my photographer got there at 2:45. -My photographer is a good friend of mine that I flew in for the ceremony. Since she was a guest at the resort, Claudia said it was ok for me to use her at no extra charge. -They told us that everyone in the wedding party could cut off their wristbands so that they wouldn't show in pictures. We'd just have to bring them to the front desk after the wedding, and they'd replace them. However, if we lost them, we'd have to pay for them. -We took pictures in the room and on the balcony for the next hour. 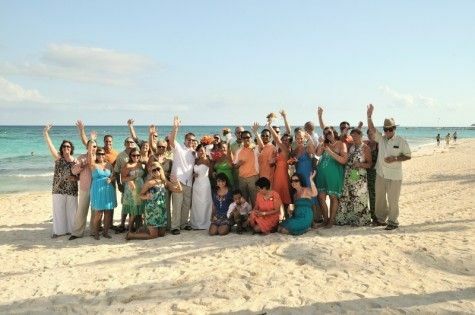 Claudia had told us that all the guests and groomsmen needed to be seated and on the beach by 3:45. She also said she would not come pick us up until everyone was there and settled. 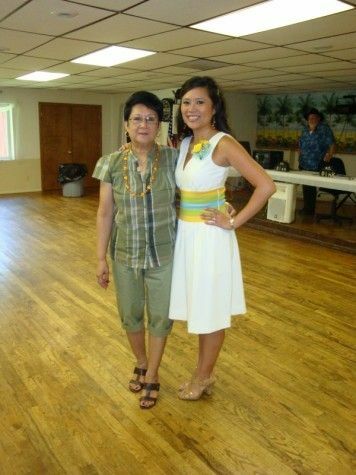 -The ceremony was supposed to start at 4pm, but they ended up not coming to pick us up until almost 10 minutes after. I had no idea what the hold up was, but I found out later that the piano keyboard was locked and they had lost the key. I was worried that my guests were dying in the heat, but DH said that everyone was congregating in the shade until right before the ceremony, so it wasn't bad at all. -The golf cart can hold up to 6 people in addition to the driver, so it ended up being me, my 3 girls, and both moms. I had brought a bag for after the ceremony and they let me leave it on the cart. -Claudia was there the whole time telling everyone when it was time to walk. She also was really good about keeping onlookers off of the immediate beach. Of course there were quite a few people who stopped and watched, but it was ok - still beautiful. -The speaker was loud enough for everyone to hear. My dad used the mic the whole time, and it was cordless, so both of us used the mic to say our own vows we each wrote. -After the ceremony, a person was waiting there with glasses of champagne for us and all of our guests. -We took group pictures, then released everyone to get refreshed for the reception, and the husband and I stayed behind to take couple pictures. -If you wanted your wedding party or yourselves annouced coming into the reception, you needed your own MC. They will provide the mic and speaker, but they won't do the announcing for you. So, we just had my cousin do it for us, which worked out nice. The speaker is definitely loud enough to fill the room. -The bar was set up in the back corner, and the husband and I had our own table, pretty much in the center of the room. Then we had 5 tables placed in a semi circle facing our table. They had a small table for the cake, although they didn't actually bring the cake out until we were ready for it. -They asked us when we wanted to start serving food, which we were immediately ready for. The salad we chose was the scallop salad, which was delicious. We had the lobster bisque soup, which was also amazing. The main course was the beef tenderloin which melted in your mouth. The only thing to note was that it was cooked about medium rare, which is perfect for me and the husband, but I was concerned that some guests wouldn't like it. I didn't hear any complaints, but something to think about. We had creme brulee for dessert, which was odd to me because we had wedding cake, too. Looking back, we probably would have only gotten a 2 tiered cake, rather than 3. We had a LOT of cake left over, which they held for us in the kitchen and delivered to our room the next morning. Some of our guests took leftover cake as well. -Claudia was in and out of the reception, but there was a man named George who was there the whole time and was our point person when Claudia wasn't there. Everything ran smoothly, you can basically tell them how fast or how slow you want them to serve, or whether you need them to pause to give you enough time to do speeches and what not. -We had started the reception at 6:30, and the three hours went by fast! What kind of sucked is that everyone was in dance mode, but then the reception was over at 9:30 and the disco isn't open until 10:30. But it just wasn't worth it to pay for an extra hour, especially when you can get the drinks for free in the bar. We ended up just hanging at the Colonial bar until the disco opened. And it gave everyone time to go to the reception desk for new wristbands. -We asked for breakfast to be delivered at 9am. They called us about 5 til to let us know it was on its way. We got salmon omlettes with fruit cups, an assortment of bread, coffee, orange juice and a bottle of champagne. Everything was tasty and the presentation was nice. We actually ended up saving the bottle of champagne and took it with us to dinner at the French restaurant. They opened it and kept it on ice for us - very nice. I would do it like this all over again! 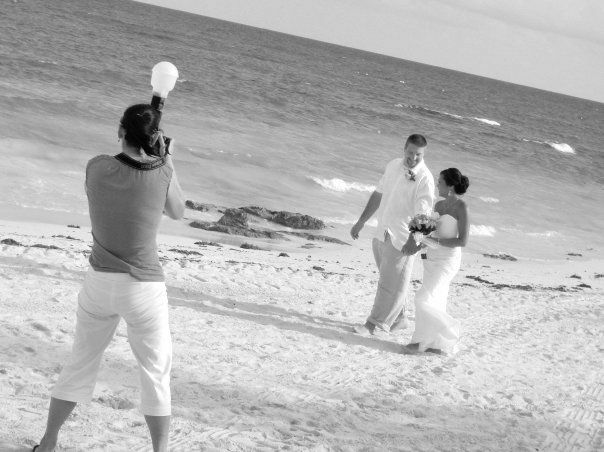 I realize destination weddings aren't for everyone, but it was perfect for us, and produced ALMOST zero drama. A wedding wouldn't be a wedding without drama after all, right? All in all, it was perfect. The majority of our guests left a day or two after the wedding, and then we still had a full week there to ourselves. You might be wondering if we had a reception with the masses when we got home. We actually had a pre-reception, so to speak. The in laws threw us a big shower, which really served as our reception. They rented a hall and invited everyone that would have otherwise been invited to the wedding had it been local! It was a great way to celebrate with everyone a few weeks before the wedding, and, at least from the bride standpoint, added no pressure onto me at all. If you've made it this far and want to see the more personal side of the wedding, then you should totally watch this video. My friend, the photographer, put this together of all of our wedding photos. It truly captures the day perfectly and the happiness, joy, and love you see on our faces is real. 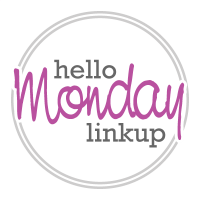 I cried watching it again while I was putting this post together, so I hope you enjoy it! What a beautiful wedding! Orange is such a fun colour and and the photos look great! your wedding sounded so perfect and drama free. I think a destination wedding is a good idea personally. 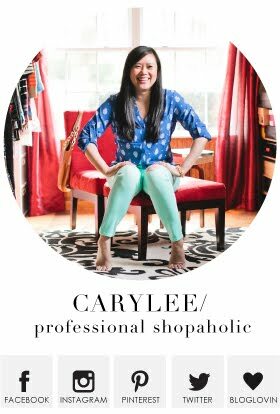 Happy Anniversary Carylee! Thanks for sharing this wonderful day. You looked gorgeous! My mom is getting married at my house this upcoming weekend so I am in full preparation now. This post get me excited! I liked your zero drama counted. 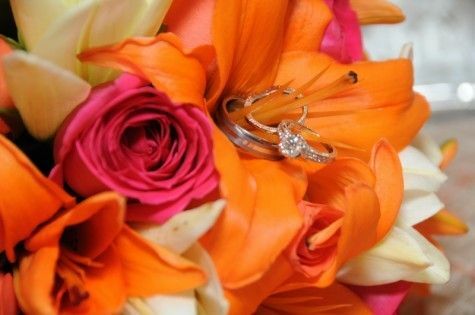 My daughter's wedding was ruined for me by other people, I still hurt today because of it. I think a destination wedding would have better for her after reading this. It looks gorgeous! What a beautiful wedding at a gorgeous location! 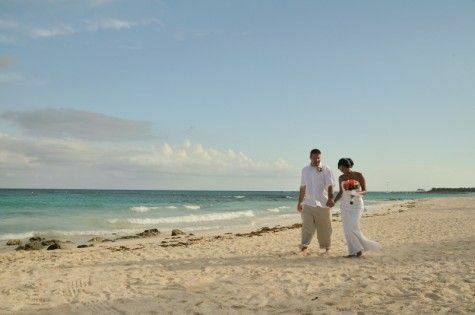 I think destination weddings sound like a blast, and I bet you do reduce drama by going that route! Happy anniversary! thanks for sharing! 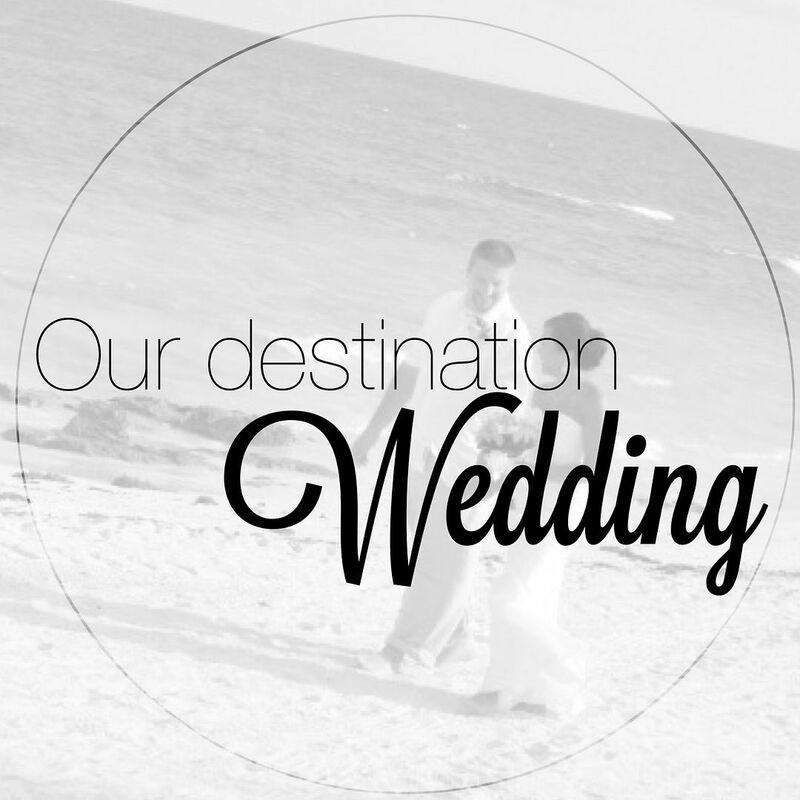 I'm sure so many destination brides will be glad you did! Looks like it was a beautiful day! Happy anniversary! I love this look back at your special day. It was beautiful and so are you! Your wedding photos are STUNNING! Thank you so much for sharing! I went to a destination wedding in Mexico this June and it was incredible. I'm honestly jealous that we didn't decide to do that, too!